Now, let’s talk about Back to the Future. I recently watched the films this past October when the first film was re-released in theaters. As with Star Wars or any beloved film franchise, it was great to see it on a big screen again surrounded by fans. When I heard that a new game surrounding the franchise was being developed, I got excited. When I heard it was being made by Telltale, the same people who created Puzzle Agent, Sam & Max, and the Monkey Island games, I got even more excited. 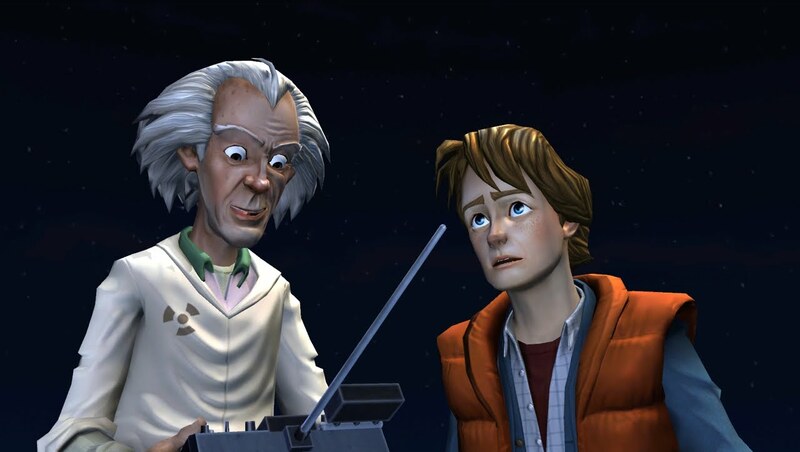 When I heard that Bob Gale, co-writer of Back to the Future, Christopher Lloyd, and AJ Locascio, a new voice actor who creates realistic-sounding Marty McFly, were all on-board, I started counting the days until release. To be honest, there’s not much Telltale could do to screw this up. Every Back to the Future fan knows all the cues and nuances of the films and as long Telltale delivered on those, and created a story that worked, the game would be a success. They did and it is. While nostalgia plays a part for sure, the game hits every nail on the head. The opening sequence has you experiencing the first jump through time at the Twin Pines Mall, where the player has the option to supply lines from the film that so many fans have come to know. But when the Delorean doesn’t come back a minute later, trouble starts. Without giving away too much of the story, Marty eventually has to go back to 1930s Hill Valley to rescue Doc Brown from a grave fate. The story is slightly darker than most Telltale games, and you will find some cursing in the game (about the same amount you would in a Back to the Future film). You’ll meet an extension of characters from the films, and explore some of the back-story behind Dr. Emmett Brown. Overall, the game plays exactly how you would expect it to. 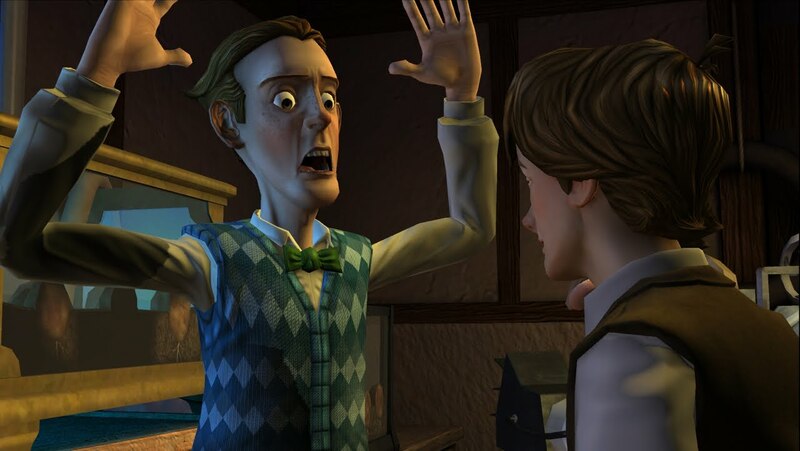 If you’ve played any of the previous Telltale games, or a point-and-click adventure game in the last 20 years, you know what to look forward to. The Back to the Future series provides somewhat of a realistic setting for the game, so you won’t find many off the wall puzzles that would only take a $10,000 tear gas grenade launcher to solve. The next episode, Get Tannen, will be released sometime in February 2011.